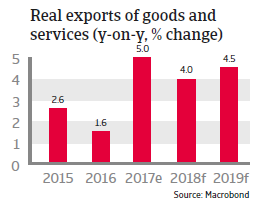 In 2017 Singapore’s economy benefitted from the recovery in global trade and higher-than-expected import demand from China. 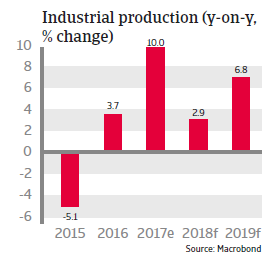 Exports and industrial production increased 5% and 10% respectively, while private consumption also picked up. 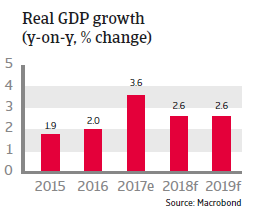 However, economic expansion is likely to moderate in 2018 as Chinese import demand cools down and domestic demand is expected to be held back by weak residential construction activity. In order to support the industry, the government announced it will spend SGD 1.4 billion over the next two years to upgrade walkways and renovate community centres, sports halls, police stations, etc. 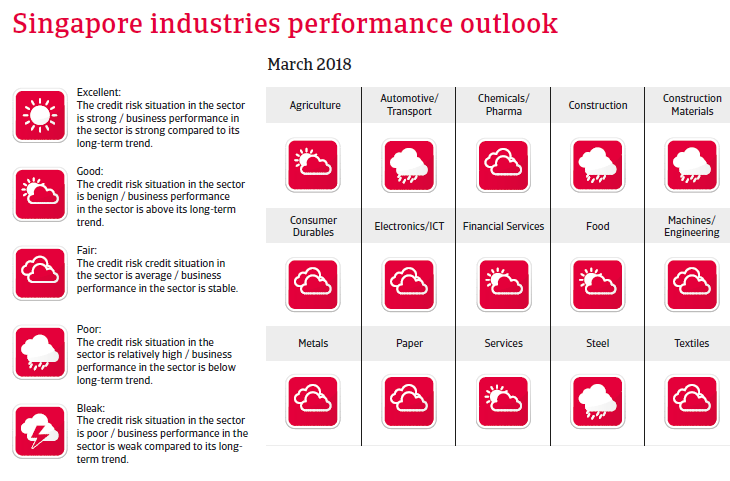 The city state continues to be one of the strongest countries in the world in terms of sovereign risk and macroeconomic fundamentals. 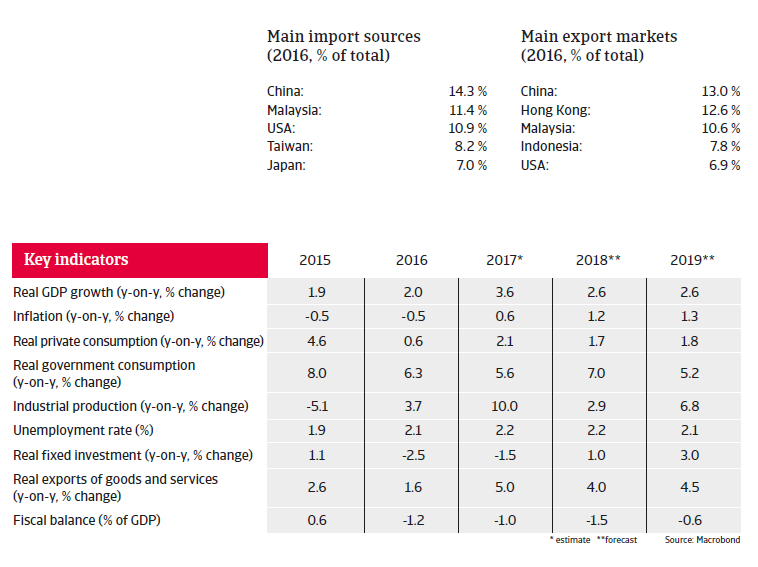 However, due to its high dependency on international trade, Singapore is very susceptible to risks stemming from a hard landing of the Chinese economy and any protectionist measures taken by the US government in its trade policy towards Asia.